With Avani at Metrogate currently under construction, we knew it was only a matter of time before Tridel unveiled its plans for the second tower (and seventh phase) of the award winning, master-planned community. 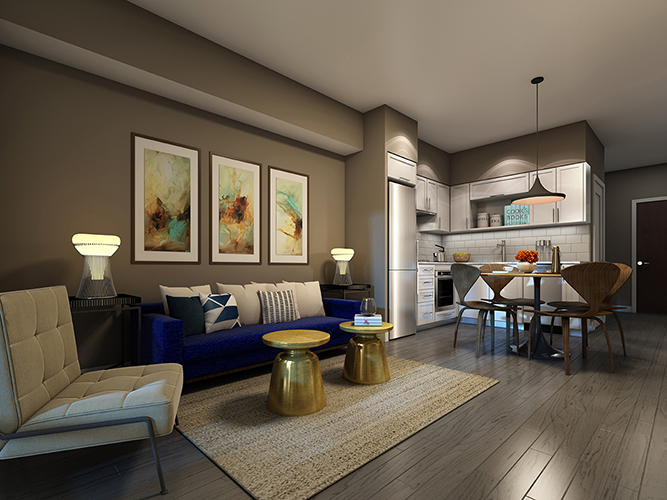 Avani 2 will house one and two bedroom suites with several den options. 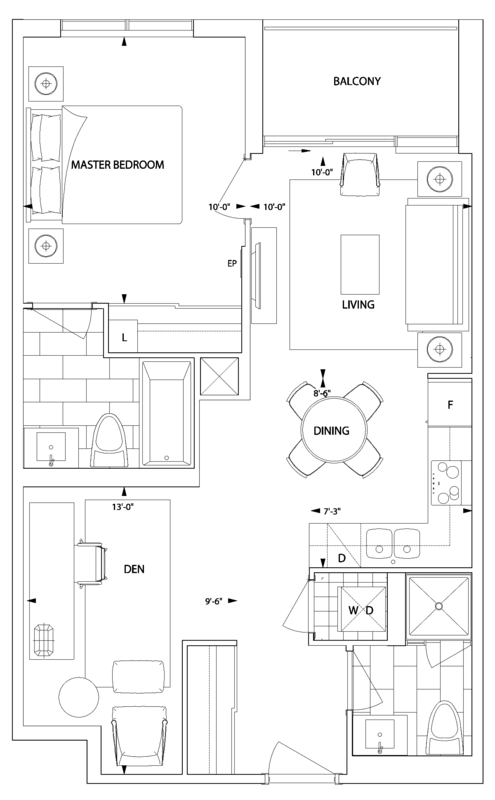 Features include wide-plank laminate flooring, designer kitchen cabinetry, granite countertops, stainless steel appliances, five foot soaker tubs and stand-alone showers. The residence will boast ultra-fast internet speeds thanks to Rogers 100& fibre-to-the-home technology. This one bedroom plus den suite is open-concept with two full bathrooms, an L-shaped kitchen and a balcony with southern facing views of Metrogate Park and downtown Toronto. The now completed Metrogate Park includes a playground, open field, pathways and secluded spots for enjoying your favourite novel or an afternoon picnic. A second onsite daycare centre is scheduled to open, ensuring your children will be well taken care of in their own community. The two Avani towers will be bridged by a two-storey podium. 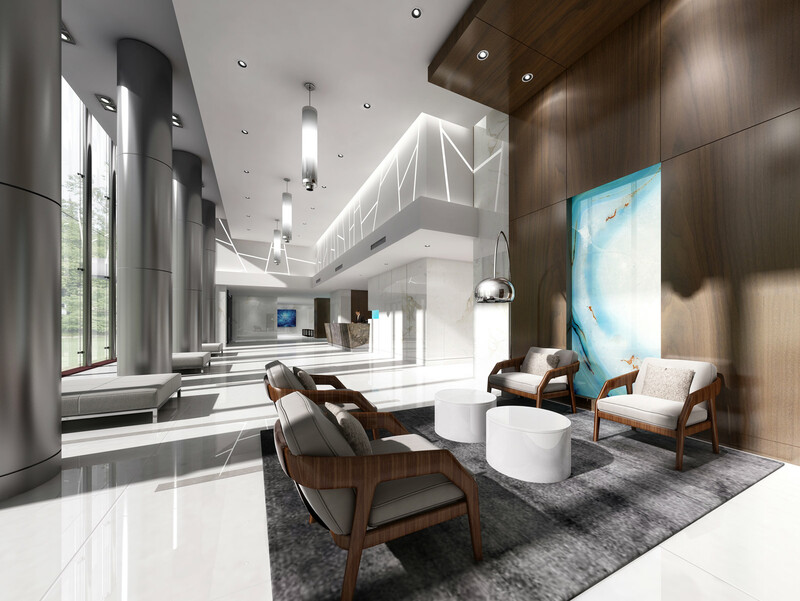 Inside, the central lobby will welcome residents and guests with comfortable lounge seating and a 24 hour concierge service. The residence will boast its very own fitness centre with a yoga studio and steam rooms. There’s also a party room, billiards lounge and theatre. During the warmer months, unwind on one of the outdoor terraces, featuring barbecues, lounge seating and dining areas. The Metrogate community is located at the intersection of Kennedy Rd and Highway 401. It’s just a five minute drive to the Scarborough Town Centre, which offers over 230 name brand retailers. Whether you prefer to dine in or out, there are plenty of nearby grocery stores and restaurants to choose from. Commuting is virtually stress-free with the TTC, LRT, GO Train, Highway 401 and the Don Valley Parkway all within reach. 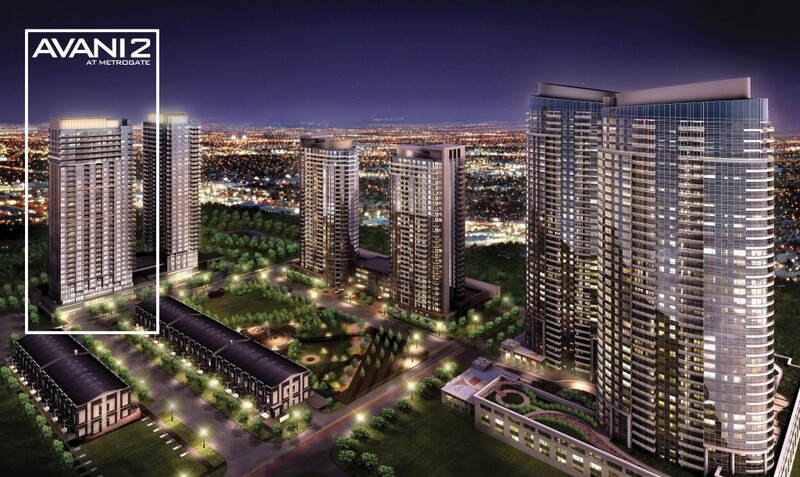 Register online to receive exclusive updates on Avani 2 at Metrogate. Prospective buyers are encouraged to visit the Avani presentation centre at 52 Village Green Square in Scarborough.